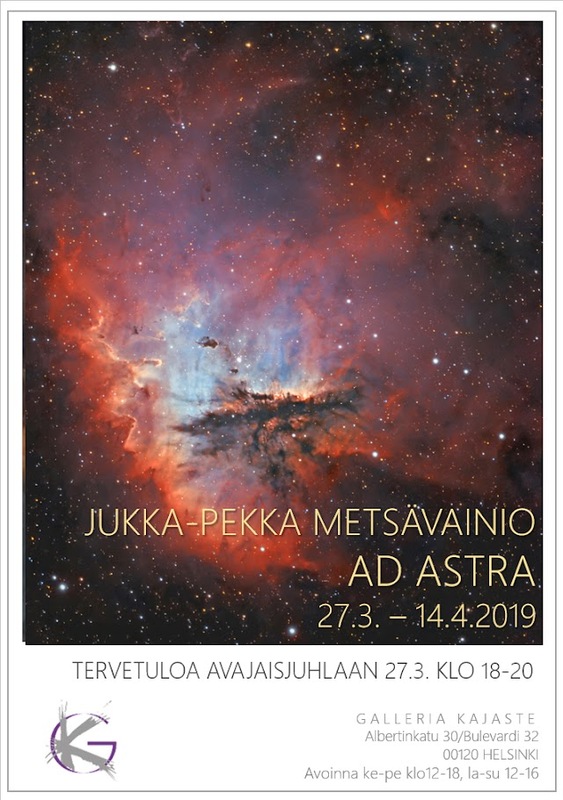 New exhibition in Helsinki about my astronomical nature photographs, lots of new material to see. Well served Celestron Edge 11" telescope went back the Celestron seller. They borrowed it to me back in 2014 and make possible to me to continue my imaging work. It was a great instrument, especially equipped with the Celestron 0.7 reducer for the Edge telescope. This system was able to cover the large CCD in Apogee alta U16 camera. 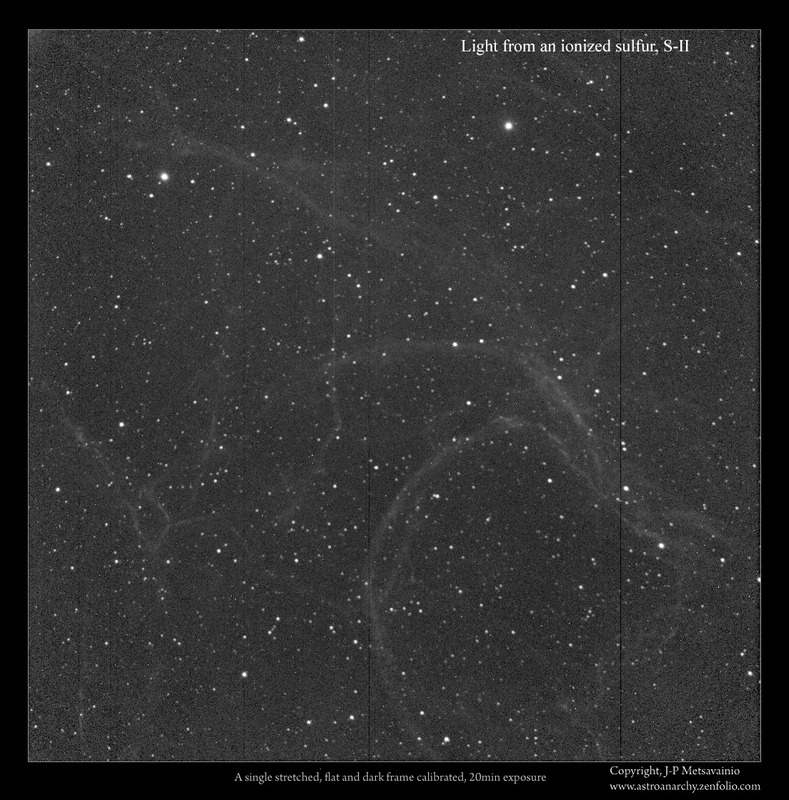 The field of view was about one square degree and the image scale was optimal to my conditions, about 1 arc second per pixel. I'll publish later a collection of images taken with this combo. 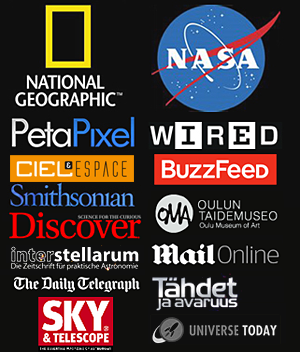 With this setup, I got three APOD images published by NASA. All of my photos from 2014 to 2019 are taken from my city center observatory. 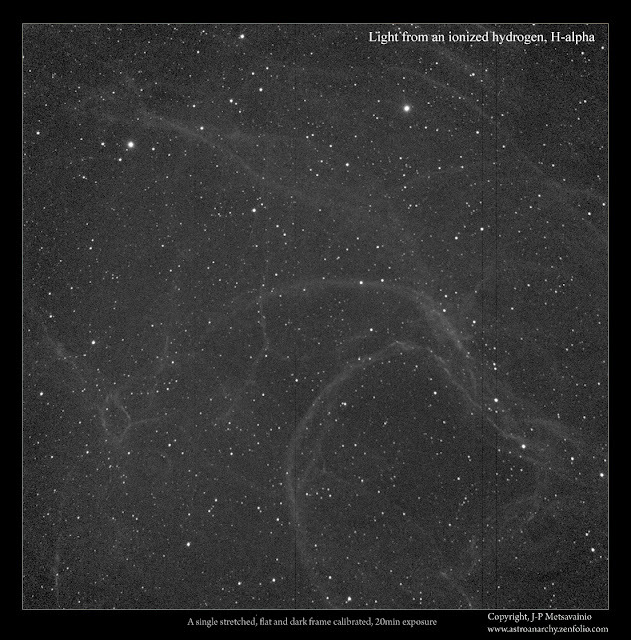 Celestron Edge 11" telescope, 0.7 reducer for the Edge telescope, 10-Micron mount, Apogee alta U16 camera and the Astrodon narrowband filters, H-alpha 5nm, S-II 3nm and O-III 3nm. large images in this poster are my mosaic image projects. 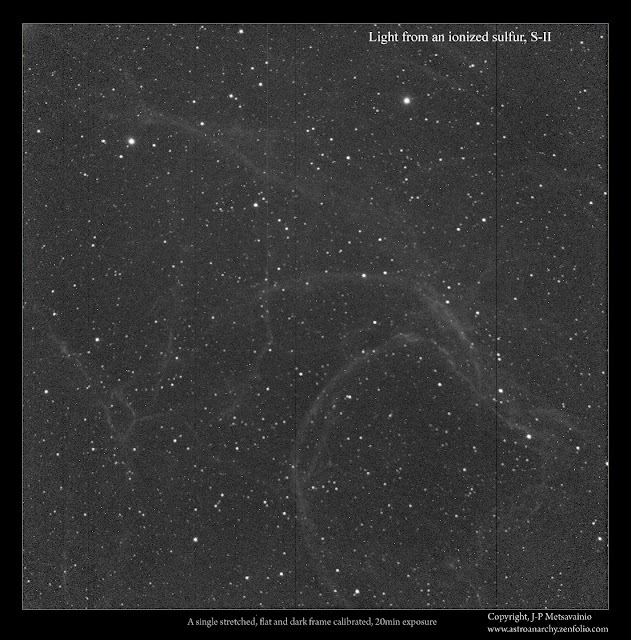 Single frame from the camera is square with 4048 x 4048 pixels. 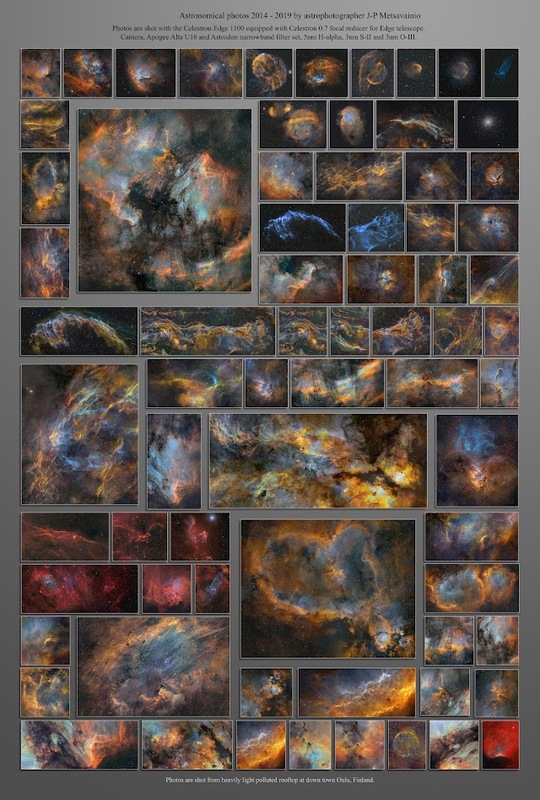 Largest mosaic has 20 frames and about 200 hours of exposures. I'm now looking for a new instrument to replace the well served 11" Celestron. This is my last photo for ongoing season. Well served Celestron Edge 11" telescope went back the Celestron seller. They borrowed it to me back in 2014 and make possible to me to continue my imaging work. It was a great instrument, especially equipped with the Celestron 0.7 reducer for the Edge telescope. 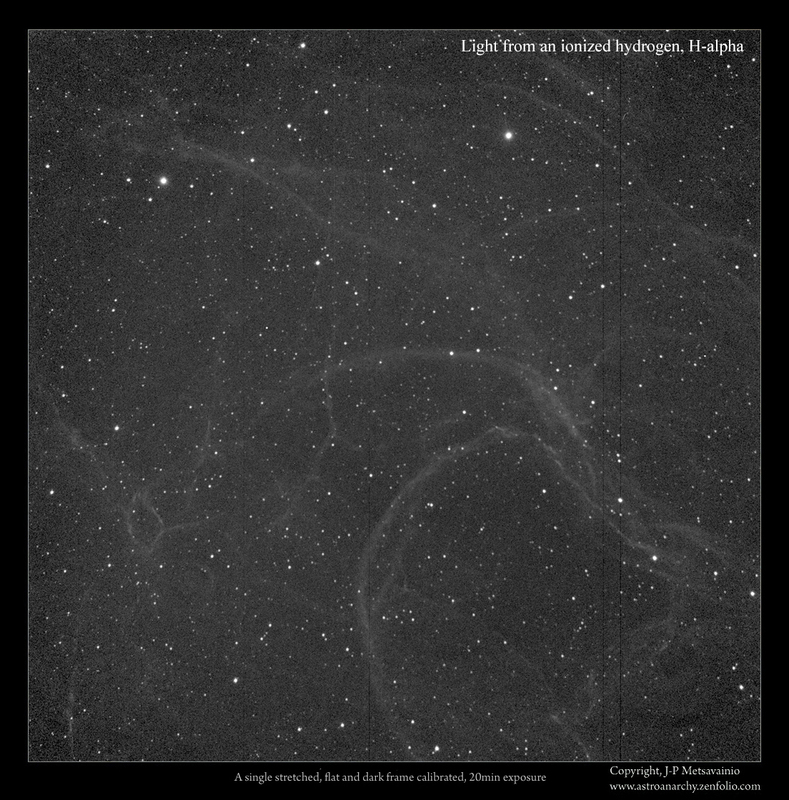 This system was able to cover the large CCD in Apogee alta U16 camera. The field of view was about one square degree and the image scale was optimal to my conditions, about 1 arc second per pixel. I'll publish later a collection of images taken with this combo. Now I need to find a new scope for the next season. One possible way to go is buying a second hand medium format camera lens. In medium format lens the image circle is large enough to cover the large CCD-shell in Apogee Alta U16 camera. Also I need a tool for a longer focal length work. The shapes and details in actual nebula are much easier to study in this starless version. 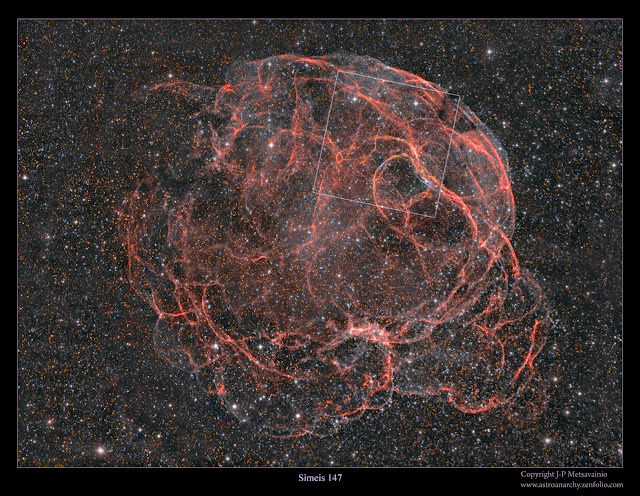 Simeis 147 (sharpless 240), is a very faint and very large supernova remnant in constellation Taurus at distance of ~3000 light years. It's constantly expanding at speed of 1000 km/second but due the size of it, we can't see any movement in it. 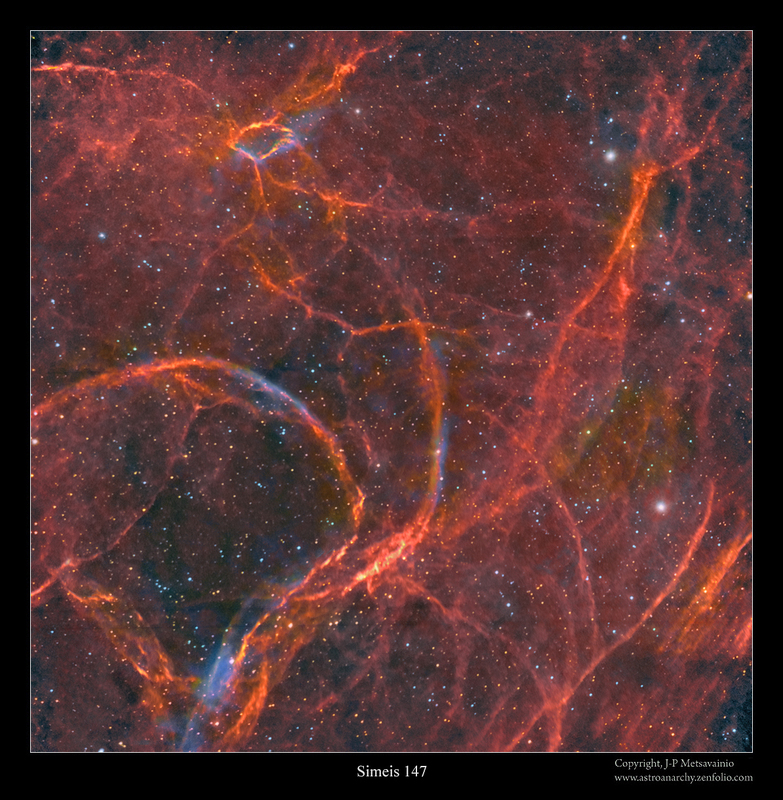 This SN spans over 160 light years and the apparent scale in the sky is about three degrees (Moon has an apparent size of 30" = 0,5 degrees). Explosion took place approximately 30.000 years ago and left behind a pulsar (Neutron star). The pulsar has recently identified. O-III, 15 x 1200 s, binned 4x4 = 5 h.
2x2 binned H-alpha frame is divided with a bias corrected master flat and subtracted with a master dark. 4x4 binned S-II frame is divided with a bias corrected master flat and subtracted with a master dark. 4x4 binned O-III frame is divided with a bias corrected master flat and subtracted with a master dark. Even after a heavy stretching, very little can be seen in this single 20 min. 4x4 binned light frame. My first photo for the Spring season 2019, Sharpless 132 in Kefeus. Generally the start of the year 2019 has been very cloudy up here 65N. 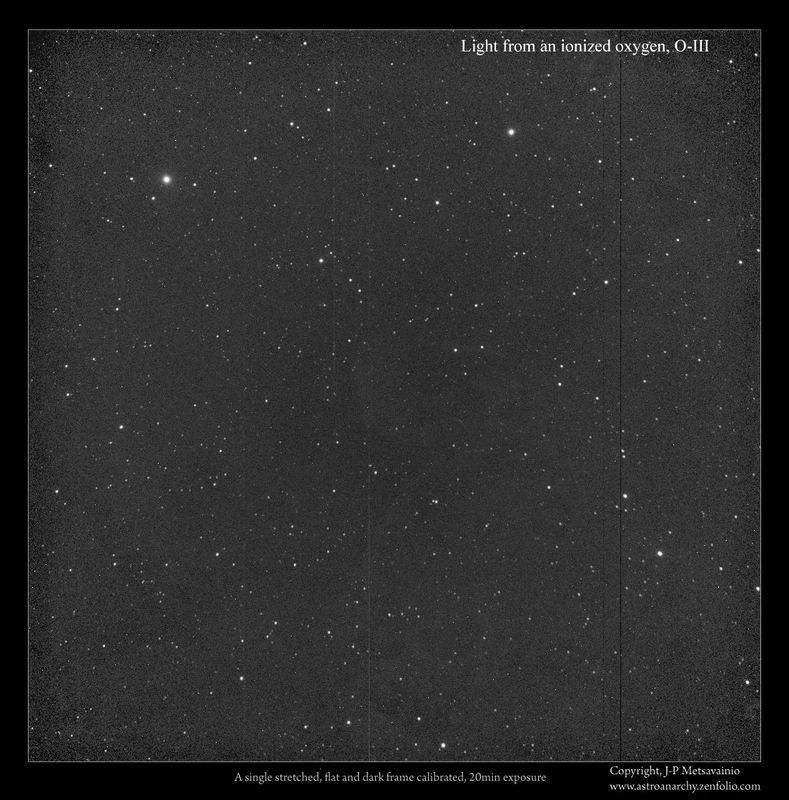 This four panel mosaic image has been taken between 1.1. and 11.2. 2019. Total exposure time is around 30h. Image is in mapped colours, from the emission of ionized elements, R=Sulphur, G=Hydrogen and B=Oxygen. The signal for ionized oxygen,. When stars are removed, the actual shape of the nebula is easier to see. Closeup of the central region of Sharpless 132. 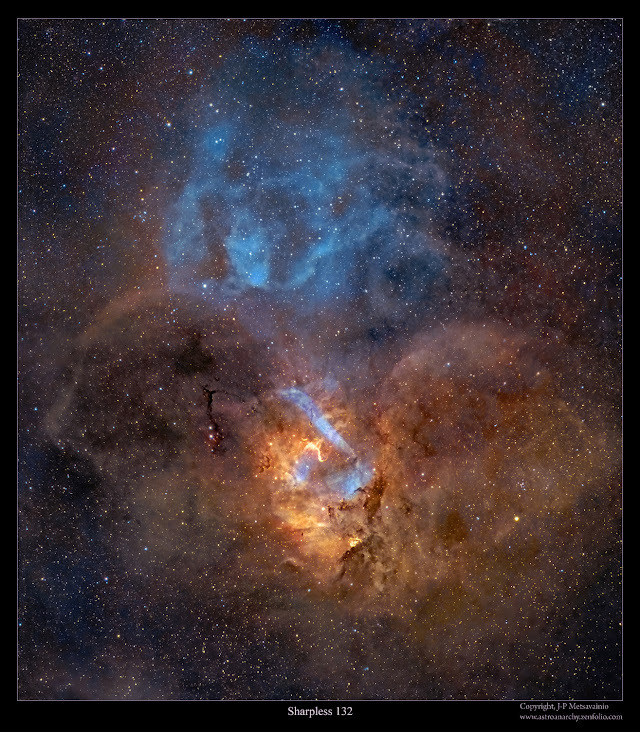 Sharpless 132 is a very faint emission nebula, it locates at the border of Cepheus and Lacerta. 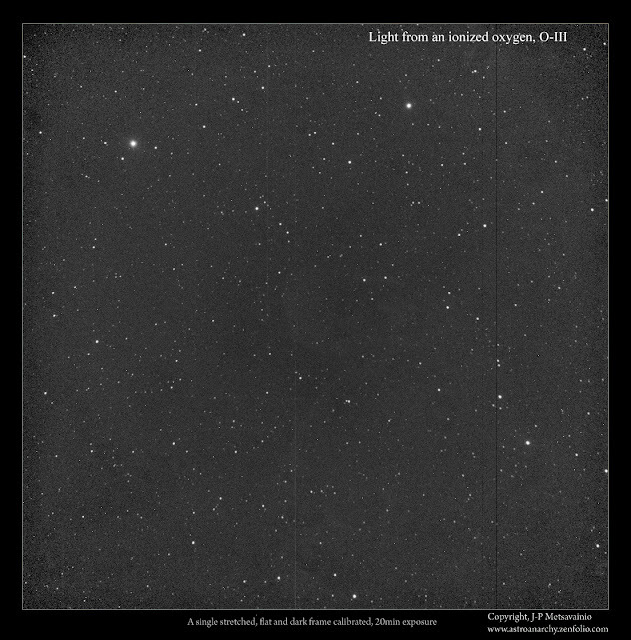 Distance is about 10.000 lightyears. My photo covers about four square degrees of the sky. 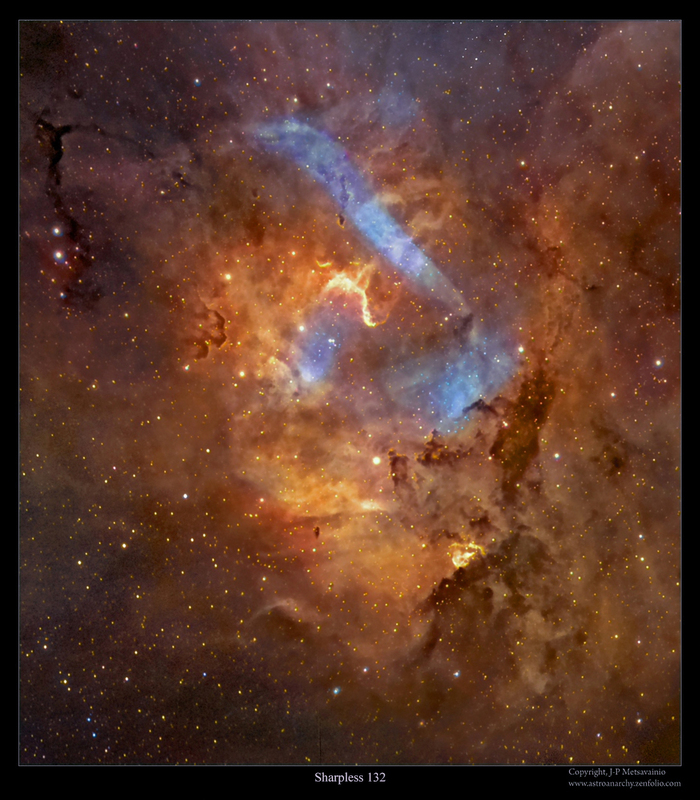 The blue color in the image is from the emission of an ionized Oxygen (O-III). O-III, 24 x 1200 s, binned 4x4 = 8 h.